Anti Valentine's Day Makeup Tutorial of 2018. Let's get this video to 1,000 LIKES!!!! 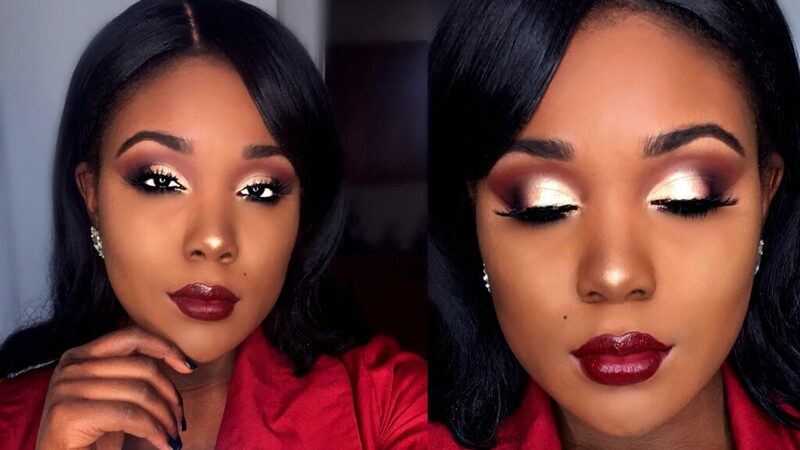 It's a dramatic makeup for black women OR WOC OR HONESTLY ANYONE! loads of tips and tricks! R O S E K I M B E R L Y NEW video every Wednesday, and Sunday 10:00pm EST/07:00pm PST! I'm a 22 NYC girl who Graduated with my bachelor's in Cosmetics Chemistry and Marketing. I studied makeup, hair, nail, skincare + MORE. Subscribe & Let's be friends! hey #rosekimberly I see you have very dry skin so a moisturizer I use is the "Vaseline intensive care cocoa Radiant lotion" you have to try it out its amazing I promise you your skin will look and feel amazing! isn't LAX matte? did you add gloss to it? (normally used for individual lashes) It is tackier, and grabs quicker, last longer, and its black. Black hair is beautiful on you. I love everything about the eyes! ❤️❤️❤️ This is soooo pretty! Just saying hello. Love your videos. love this Valentine look Rose also so encouraging to see a beautiful young lady who love God. Loveeeee your channel, loving this look, your page is always positive and is a great influence on others, this look is stunning!! Classy glam look Rose, great job honey!!!! Thanks for being so positive and uplifting! Love this look! Love you girl! You slay it!